The Lazy Project Manager and the Project from Hell – FREE!! 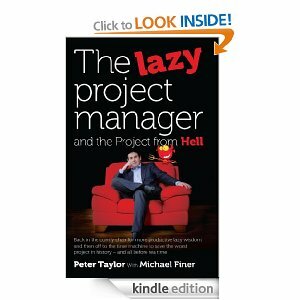 PMOz Keynote speaker, Peter Taylor’s latest book, The Lazy Project Manager and the Project from Hell is now in stock on Amazon around the world and you can download the book for FREE!!!! The book will be free for a period of time as an eBook – just go to your local Amazon site today and download your copy! In The Lazy Project Manager and the Project from Hell, Peter Taylor applies the lazy project management techniques introduced in his bestsellers The Lazy Project Manager and The Lazy Winner to a project that has gone seriously wrong. Productive laziness is wonderful…… as Robert Heinlein noted: Progress isn’t made by early risers. It’s made by lazy men trying to find easier ways to do something. Persilience: A key to success! Persilience is something that is essential to success of any endeavour you undertake, whether it is achieving project success, business success or virtually anything else. Persilience: an amalgam of resilience and persistence that recognises the importance of both characteristics. – Persistence is about perseverance, resolve and determination. The two elements are not always combined in equal measure; sometimes you just need to get on with it (this is persistence) but at other times you need the strength of flexibility. Resilient people bend before excessively strong forces, absorb the energy and then recover, if necessary reframe or modify their approach and move on, their personal integrity intact. The idea of persilience came from a meeting earlier this year with colleagues in Paris where we were discussing the topic of successful implementation of programs in organisations. It was -10 degrees in Paris at that time. Despite (or because of) the extreme cold we met for dinner at a restaurant in the heart of Paris. By ‘tough’ the guru meant being able to maintain faith and support in the project in the face of adversity and carry it through despite all setbacks. The meaning of the word ‘tough’ has changed over the years so we had a discussion about what word would best fit the characteristic – we didn’t disagree with the characteristic but needed a better word to describe it in today’s terms. We decided that what was needed was a mixture of resilience and persistence in building and maintaining the relationships that mattered for PM success. And thus with the help of some fine wine the new blended word persilience was born. Used wisely, the concept of persilience recognises Abraham Ribicoff’s concept of ‘the integrity of compromise’ where this is necessary and in the best interests of everyone whilst also allowing for stubborn persistence when ethical standards or other core values are being challenged. 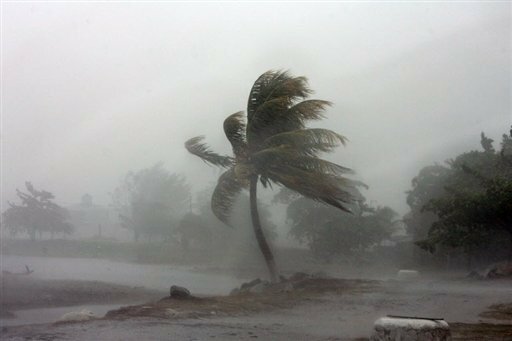 Ethical persilience won’t resolve every problem but it can offer a benchmark characteristic for us all to aspire to achieving. PMOz is Australia’s leading independent project management conference focused on creating an environment for the cross pollination of ideas; speakers from ICT mix with construction, engineering and mining, academics with partitioners. The streamed approach keeps relevant papers together, projects in organisations, methodologies and certifications and project controls but within this framework, the new insights to be gained from listening to other peoples approach to resolving you problems, or challenges is unique to PMOz. The opportunities to experience new ideas do not stop with the PMOz program! PMOz collocates with the iSSEC (Systems & Software Engineering Conference) each year and delegates are free to pick which sessions to attend out of either program. Whilst some of the iSSEC papers are very technical, there is a significant overlap between systems engineering and project management that works to the benefit of both sets of delegates. It helps to understand each other! 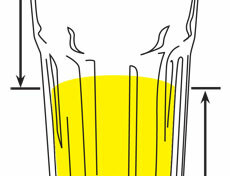 As the old joke goes: To the optimist, the glass is half full. To the pessimist, the glass is half-empty. To the systems engineer, the glass is twice as big as it needs to be. Early bird registrations for PMOz are now open, we are assembling a great line up of speakers and the program for 2012 look like being the best yet (but as part of the committee I’m biased). Whilst the show was great fun, and the comedy festival wraps up this week for another year, I’m left wondering is there is any real difference between a bet on which raindrop will reach the bottom of the window first and responding to a bank’s suggestion to fix (or un-fix) the interest rate on your home mortgage which in Tim’s view is a bet against the bank on the difference between current interest rates and those that will be being charged in 5 or 10 years time??? I guess as he pointed out, we are all gamblers, only some of us know it! Certainly Tim’s effort to recreate 10 of the most bizarre recorded bets in history makes entertaining listening and involved some big stakes and some serious risk management…… or was that a just a bet???? Either way, the historical fascination with gabling has influenced modern language, bets were recorded in ‘Gentleman’s Club Betting Books’ – the origin of the term Bookie and Book Maker, and the original meaning of the term ‘stakeholder’ refers to the independent, trusted person who held the ‘stakes’ during the course of the bet. This weekend we went to see the taping of the last ever episode of ‘Good New Week’ (GNW) – a comedy program we’ve enjoyed for years. Unfortunately all did not go according to plan (a topic we have discussed in other posts). First, once the problem became apparent, the queue for the 5:00 show were told of the delay and the time to come back – good communication and good decision making (we went for a drink). Then the show had to be taped out of sequence because several of the panellists also had their own shows to give as part of the overall Melbourne International Comedy festival. A lot of the re-organising was done on the fly but again as far as possible the audience were kept informed. With all of the disruptions, our 7:00 dinner was delayed to 9.00pm (but we kept in communication with our stakeholder’s in the restaurant). “If you like laws and sausages, you should never watch either one being made*”. This definitely applies to taped TV shows and highlights the skill and luck needed for ‘live-to-air’ shows. 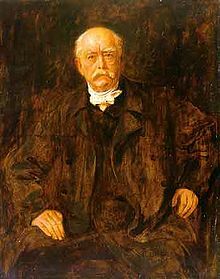 *Note: This quote probably was not by Bismark, there is a quote: “Je weniger die Leute darüber wissen, wie Würste und Gesetze gemacht werden, desto besser schlafen sie nachts” (The less the people know about how sausages and laws are made, the better they sleep in the night) attributed to him but not referenced, an earlier version “Laws, like sausages, cease to inspire respect in proportion as we know how they are made” was said by American poet John Godfrey Saxe (1816-1877). One of the most overlooked processes for effectively managing the day-to-day uncertainty that is the reality for every single project, everywhere, all of the time, is an effective performance surveillance process. This involves more than simply reporting progress on a weekly or monthly basis. An effective surveillance system includes regular in-depth reviews by an independent team focused on supporting and helping the project team identify and resolve emerging problems. Our latest White Paper, Proactive Project Surveillance defines this valuable concept that is central to providing effective assurance to the organisation’s key stakeholders in management, the executive and the governance bodies that the project’s likely outcomes are optimised to the needs of the organisation. 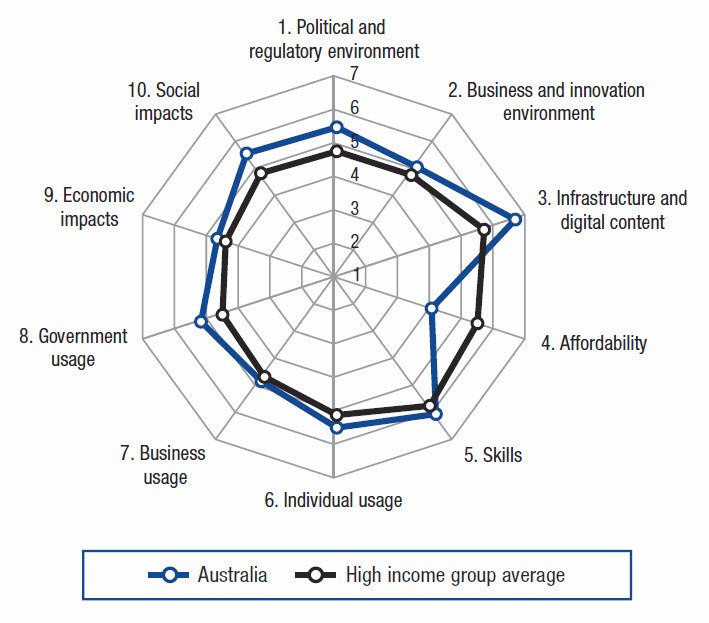 The report ranks Australia 17th behind New Zealand (14th), the UK (10th), and the USA (8th). 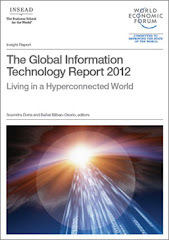 Technological leaders include Sweden # 1; Singapore #2, Korea #12 and Hong Kong #13. Leveraging high-speed connectivity is crucial for competitiveness. Countries performing strongly in the Networked Readiness Index all have a holistic strategy to developing technology; there are no weaknesses in any of the key metrics. Defining technology standards by the existence of technology infrastructure is not enough; components such as affordability and skills are crucial to success. The ‘digital divide’ still exists – not just in terms of infrastructure but also in terms of the skills necessary to make use of technology to better social and economic conditions. Arguments around the most cost effective way to develop the National Broadband Network (NBN) to achieve a holistic communications infrastructure are valid, but anything less than an integrated fibre-optic network will be second rate and second best and cost the economy dearly in the years to come. We have a long way to go to make the ‘top 10’. Tagged Communication, National Broadband Network, NBN, NBN Co.